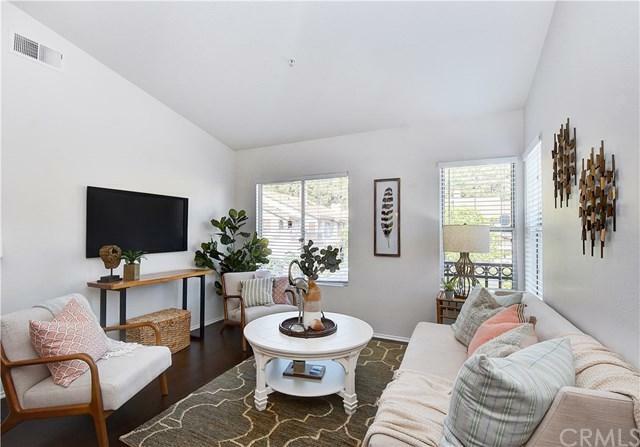 Highly desirable upper corner, end unit condo with 2 bedrooms and 2 bathrooms with vaulted ceilings and an open floor plan. FHA & VA Approved! 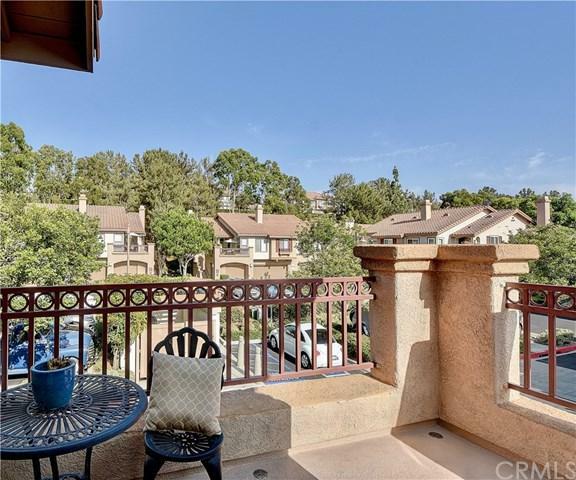 Bright & sunny with lots of natural sunlight & located in the highly sought after community of California Court in Mission Viejo. Features include a new HVAC/ air conditioner/heater installed Sept. 2016, a brand new water heater installed June 2018, new wood floors, a fireplace in the family room, updated mirrors and new lighting in both bathrooms, the inside of the home was just painted plus there is a detached 1 car garage with washer and dryer included. 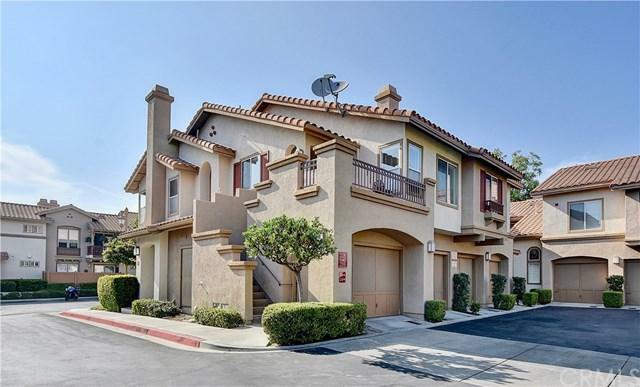 This is a carriage style condo with all living space on one level & no one above or below you. Open floor plan with the kitchen conveniently opening to the dining area & the family room. 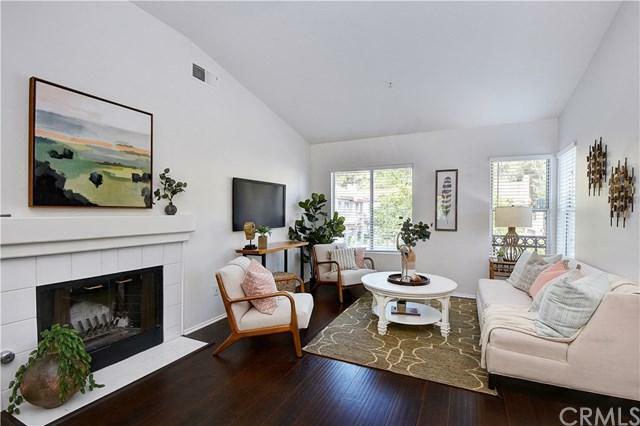 The open family room offers cathedral ceilings and a fireplace. The master bedroom also has vaulted ceilings and is complete with a walk-in closet and is privately located at the back of the home. The master bathroom has been updated with a designer vanity mirror and updated lighting. Enjoy a spacious 2nd bedroom with the 2nd bathroom conveniently located right across in the hallway. You will love the quiet location of this well-kept community with lots of guest parking & a community pool, Jacuzzi and playground. No Mello-Roos & your Low HOA dues include Lake Mission Viejo Membership & association privileges. Great restaurants & shopping right around the corner + easy access to the 241 Toll Road. Sold by Miyo Nishimuta of Metro Estates.